In an interview, there are a few red flags that most employers look for. What most candidates don’t realize is that there is another small, but significant pivot point in an interview. When given the golden opportunity to flip the script and ask interviewers questions, many applicants politely decline. Why can such an innocent interaction cast a negative shadow on the interview? How do you impress your interviewer and engage them effectively? There’s nothing more frustrating to an interviewer than hearing a candidate say they have no questions. And you are probably wondering why it’s so important – what’s the big deal? To an interviewer, there’s nothing that screams, “I’m just looking for a job” more than not having questions prepared. It’s like going on a one-sided dinner date where your guest doesn’t care enough to ask you anything. Interviewers want to see genuine interest from candidates. Interviews are a two-way street. They’re an opportunity to decide whether the role and the company will be a good fit for you, too. Asking the right questions will help provide valuable insight that may not be available otherwise. Continuous learning is highly valued at many organizations – asking about opportunities for growth shows that you’re not satisfied with the status quo. Asking questions about the company’s culture to see if their values align with yours helps clarify expectations. Researching trends affecting the company shows preparation. Additionally, you’ll get the inside scoop on how the company reacts to threats and opportunities. Understanding the qualities and KPI’s of a top performer will help clarify expectations and show your determination to excel in the role. Recognizing common challenges new employees face helps you navigate common struggles and get up to speed faster. How does your company support professional development? How does your company encourage continuous learning? Are there any employee training opportunities that set you apart from your competitors? If you had to use 3 words to describe the culture, what would they be? What do you enjoy about your company culture? What do you dislike? Can you give me some examples of how the company celebrates success? How is (current trend/recent event) impacting the business? What are the biggest challenges facing your company right now? What are the best opportunities your company plans on capitalizing on? Think of your top performer. What makes them successful? How would you define success for a new employee in this role, in their first three months? In their first six months? What are some challenges that new employees face? 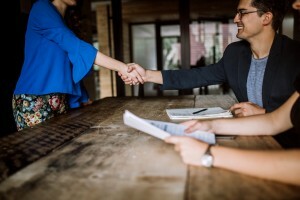 How are challenges overcome by new employees? By senior employees? Describe the support managers provide when employees are facing challenges. You’ve Got Your Questions, Now What? 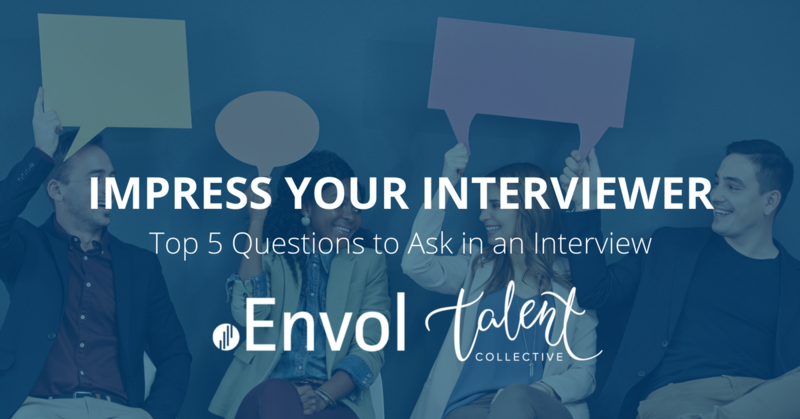 Now that you’re set to impress your interviewer with insightful questions, you are well on your way to rocking your next interview. But if you’re unsure about the types of questions coming your way, take a look at our Interview Guide tool! There are great examples of different types of questions to expect from an interviewer.